Hello and welcome! Thank you for visiting! MEETING THE UNIQUE CHALLENGES OF IT EXECUTIVE RESUMES: Greetings! 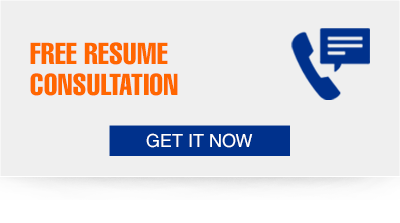 I create executive resumes, cover letters, and LinkedIn profiles specifically designed for IT executives. Technology executive resumes are more complex than other executive resumes. I know what employers are looking for in their IT leaders and how to get the message across in 6 seconds (all you get). "YOU" POWERED TO THE NEXT LEVEL: When we're done, you will have a resume, LinkedIn profile, cover letter, and authentic personal brand to help you get your next great IT executive job in as little as 2 weeks. STRATEGY: I know that clients may have more than one type of job target and/or issue to neutralize. The issues may be job hopping, lack of a B.S. degree, too long at one company, a period of unemployment, etc. I have the solutions for IT career complexity. NOT MORE THAN YOU NEED: We commit to giving you exactly what you truly need and not a lot of costly extras. TECHNOLOGY AND YOUR RESUME: Since ATS (Applicant Tracking Systems) will process your resume in more than 90% of cases, your resume MUST have the right specific (not generic) keywords and formatting. JOB SEARCH BEST PRACTICES FOR 2018: I provide up-to-date advice for IT executives in my eGuides. Focus: CIO resumes, VP of Sales Resumes (tech), VP of IT resumes, Director of IT resumes, Project Manager resumes, Cloud Manager resumes, VP of Engineering resumes, Program Manager resumes and other tech resumes for software, hardware, systems, biotech, medical devices, and healthcare IT. 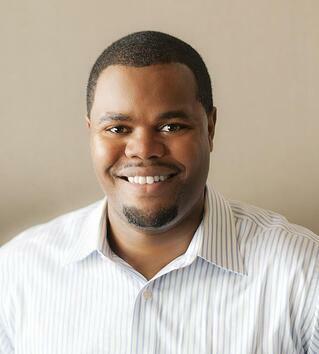 Tyrone Norwood is a career consultant who specializes in helping IT executives land their next great opportunities. Tyrone is passionate about helping each client get a great job fast on the strength of their authentic personal brand. He is known for his ability to distill complex careers into high-impact branded executive resumes, LinkedIn profiles, ROI cover letters, and other branding documents. Tyrone's job search and interview training offerings give clients the tools they need to attract, capture, and negotiate job offers. Tyrone is known for bringing intelligence, creativity, and a strategic mindset to his IT clients' complex situations. His particular expertise lies in understanding the career paths of actual and aspiring IT executives and what their employers want to see in their resumes and backgrounds. He is an award-winning Certified Professional Resume Writer, Certified Master Resume Writer, and Personal Branding Strategist.